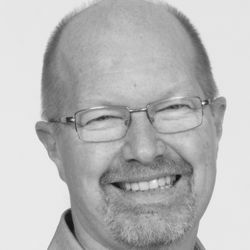 William “Bill” MacLeod is an International Health Demographer at Boston University with 20 years of experience working in sub-Saharan Africa utilising his expertise in study design, data management, and statistical analysis. Bill has conducted research in interdisciplinary teams to conduct surveys, and clinical and community trials focused primarily on infectious diseases (pneumonia, malaria, and HIV) in children, infants and neonates. He has participated in Data Safety and Management Boards and on Technical Steering Committees for WHO sponsored pneumonia trials. Bill joined HE2RO in August 2010. His work has been published in the Lancet, BMJ, and Tropical Medicine and International Health. Prior to joining Boston University, Bill was a Peace Corps Volunteer in Honduras.